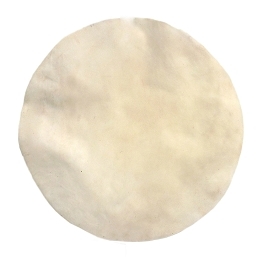 Our collection of Natural Drum Head Skins include various sizes and thicknesses for your ethnic drum. Whether you play an African drum, Brazilian drum or Middle Eastern drum add a fresh sound to your Doumbek, Djembe, Ashiko and more. Modern drummers love the feel and sound of natural calfskin from rock to jazz. 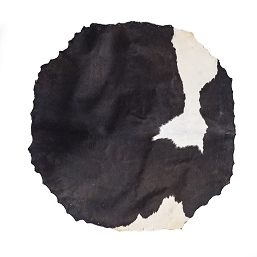 Choose from Calf Skin, Goat Skin, Fish Skin. If you do not see the size or skin your looking for contact us and we'll see if we can help you find the right head for your instrument. A recent innovation in the musical field has been the introduction of drumheads made of sheet Mylar plastic. This investigation reports the acoustical differences found in heads made of the two materials. Two types of drums were chosen, the bass drum and the field drum. Two identical drums of each type were fitted with heads, and investigations were made for several tension adjustments. A professional drummer was engaged to adjust and play these drums and a professional quality tape recording was made of their sounds, including single impact beats and steady rolls. These tape recordings were then analyzed in the laboratory.